Samuel Leslie Whillis, known as Leslie to his family, was born in Newcastle on Tyne in 1912, the second son of Charles and Edith Whillis. He joined the RAF shortly after the outbreak of war, and served as ground crew until 1942. He then he took the opportunity to train as a flight engineer at the No 4 School of Technical Training at St Athans in Wales. Having qualified, he was then posted to 16 OTU, where it would seem that he first came across both Norman Barlow and Alan Gillespie. The three moved on to 1654 Conversion Flight, and then in September 1942 to 61 Squadron. All three flew their first operation over the Alps to Turin in Italy on 20 November 1942. In January 1943, Whillis missed a few operations – perhaps because of illness – so by the time Barlow was at the end of his tour, he had only completed 22 operations. 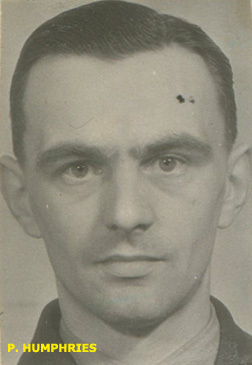 When he was offered the chance to move to a new squadron with Barlow, he must have thought that it was a good opportunity to complete his tour with a pilot with whom he had worked well. Two days before the raid, both Whillis and Gillespie received commissions, backdated to April 1943. At this stage of the war, commissioned flight engineers were rare, so Whillis had obviously impressed his superiors. 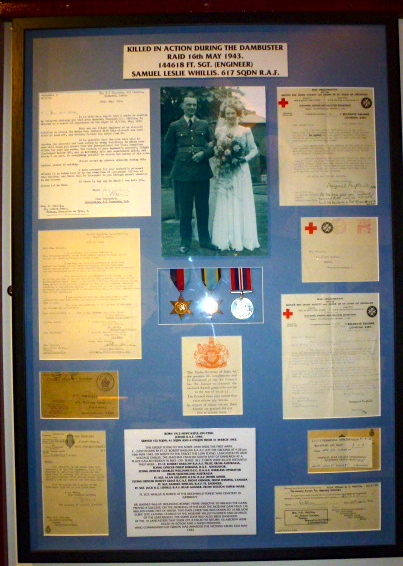 Whillis’s wife Gladys kept his medals, the letter from Gibson concerning his loss and various other mementoes. They were later sold at auction and are now on display in the Bygones gallery in Torquay. Not much more than two hours after take off, Whillis and the rest of his ex-61 Squadron comrades crossed the Rhine, and then hit a pylon and crashed, killing all on board. Their bodies were taken to Dusseldorf North Cemtetery, and reburied after the war in Reichswald Commonwealth War Cemetery. Sold 4th july 2001 for 3200 GBP.